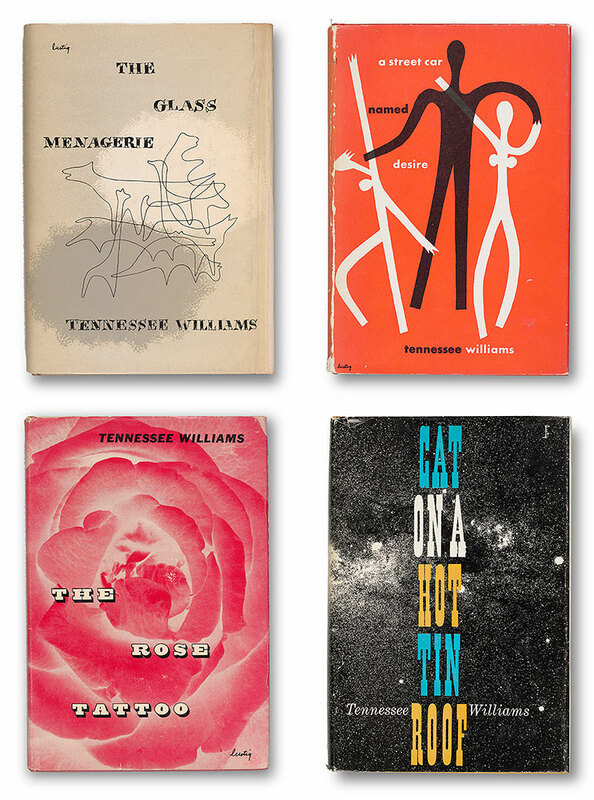 The plays of Tennessee Williams (1911–1983) are intimate, confessional, and autobiographical. They are touchstones not only of American theatrical history but American literary history as well. During the period 1939 to 1957, Williams composed such masterpieces as The Glass Menagerie, A Streetcar Named Desire, and Cat on a Hot Tin Roof, cementing his reputation as America’s most celebrated playwright. By 1955 he had earned two Pulitzer Prizes, three New York Drama Critics’ Circle Awards, and a Tony. Williams embraced his celebrity even as he struggled in his private life with alcohol and drug addiction and a series of stormy relationships with lovers. Moreover, he was often at odds professionally with critics and censors concerned about the sexuality and other subject matter, then unconventional, explored in his plays. He found his safe haven in writing. 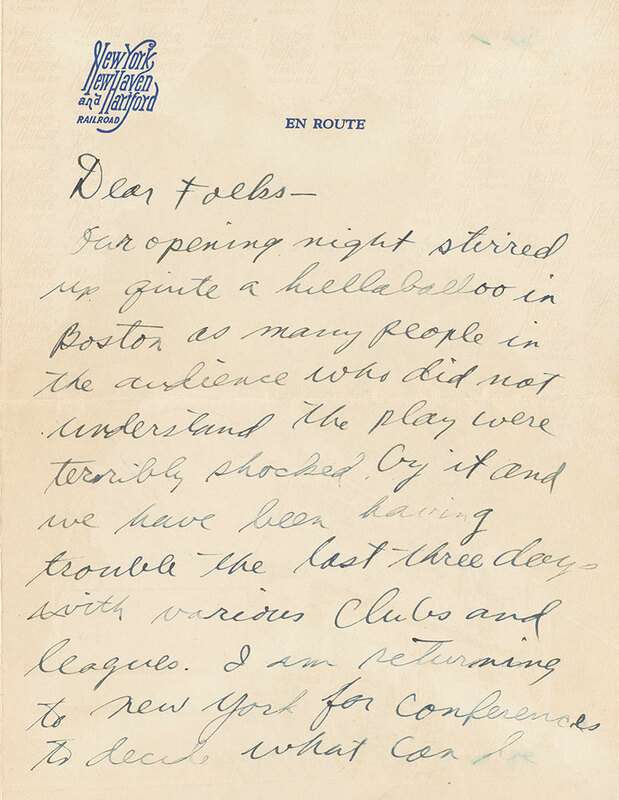 Opening February 2 and continuing through May 13, Tennessee Williams: No Refuge but Writing highlights the playwright’s creative process and his close involvement with the theatrical production of his works, as well as their reception and lasting impact. Uniting his original drafts, private diaries, and personal letters with paintings, photographs, production stills, and other objects, the exhibition tells the story of one man’s ongoing struggle for self-expression and how it forever changed the landscape of American drama. 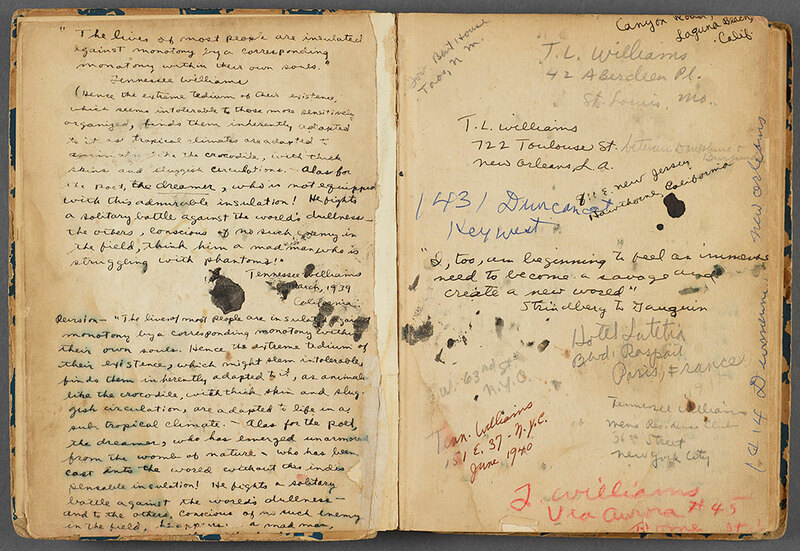 Tennessee Williams: No Refuge but Writing is organized by the Morgan Library & Museum, New York, in collaboration with the Harry Ransom Center, The University of Texas at Austin. The exhibition is made possible with lead funding from an anonymous donor and generous support from Katharine J. Rayner, Alyce Williams Toonk, the Franklin Jasper Walls Lecture Fund, and the Charles E. Pierce, Jr. Fund for Exhibitions. Tennessee Williams, Photograph by Irving Penn for Vogue, April 15, 1951 © Condé Nast. 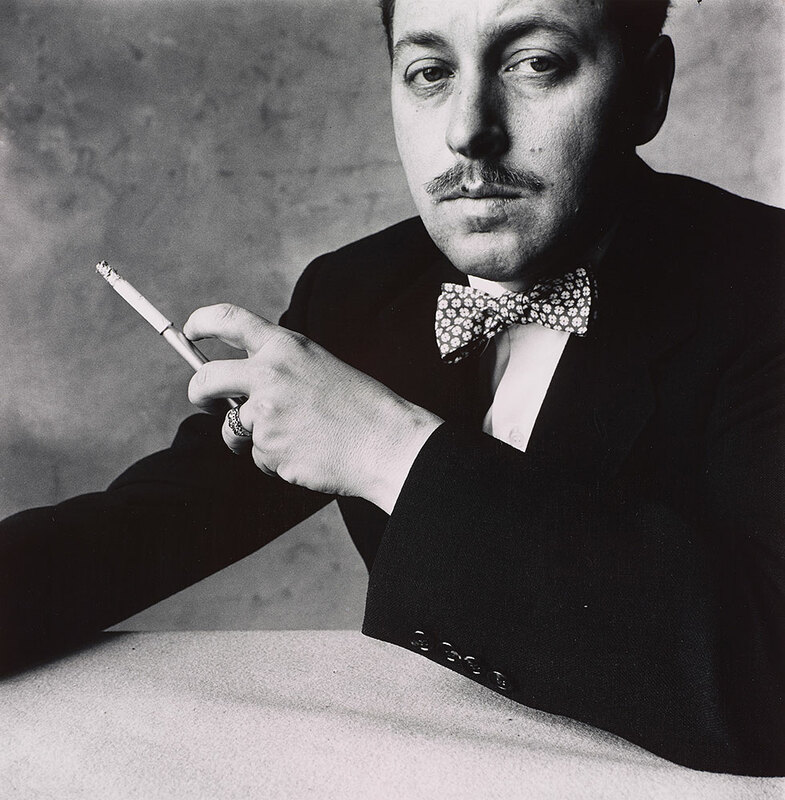 Irving Penn (1917–2009), Tennessee Williams, New York, 13 March 1951 (negative), 1983 (print), gelatin silver print on paper, selenium toned, The Morgan Library & Museum, 2007.38, purchased as the gift of Richard L. Menschel and with the support of The Horace W. Goldsmith Fund for Americana and The Margaret T. Morris Fund. Photograph by Irving Penn for Vogue, April 15, 1951 © Condé Nast. Used with permission of George Borchardt, Inc. 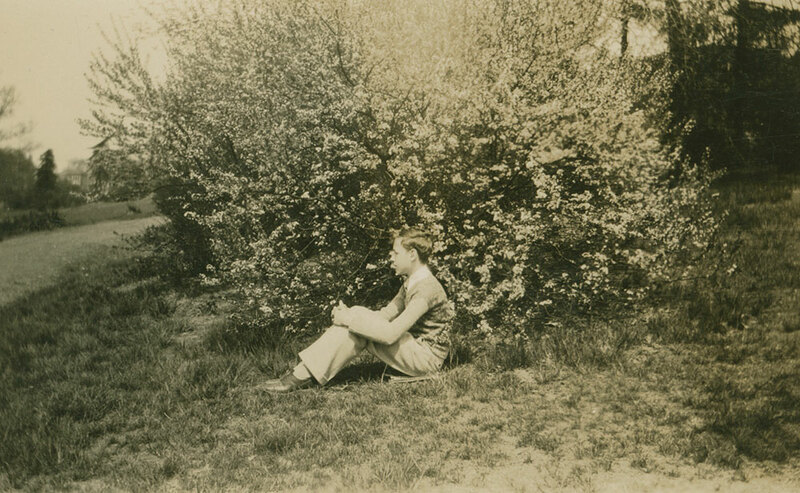 Photographer unknown, Tennessee Williams as a young man, undated, photographic print, Harry Ransom Center, The University of Texas at Austin. 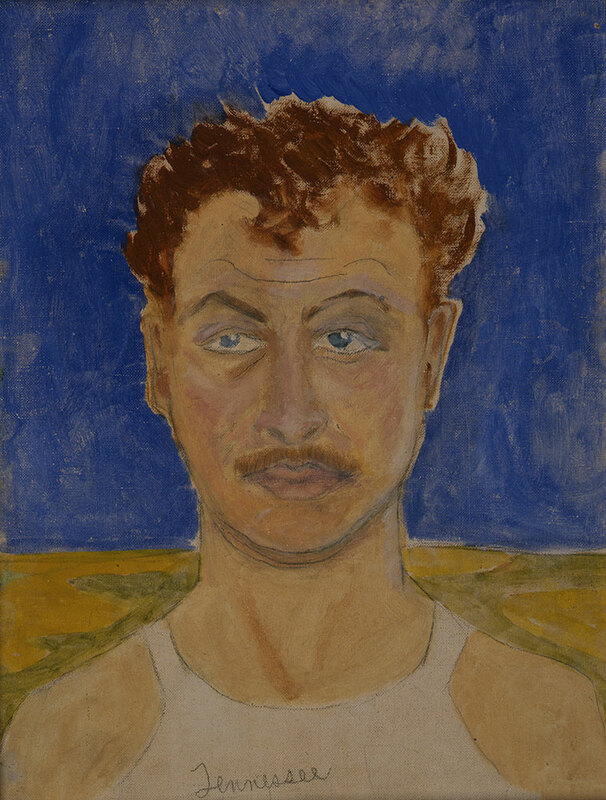 Tennessee Williams (1911–1983), Self-portrait, undated [1939 or later], oil on canvas, Harry Ransom Center, The University of Texas at Austin. 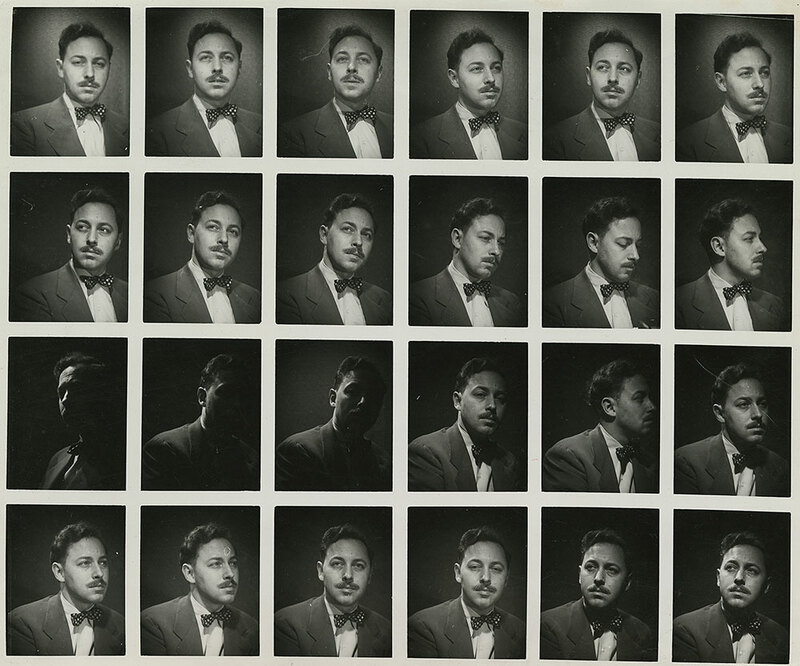 Used with permission of George Borchardt, Inc.
Foto-Life, Tennessee Williams, undated, contact sheet, gelatin silver print, Harry Ransom Center, The University of Texas at Austin. © Foto-Life. 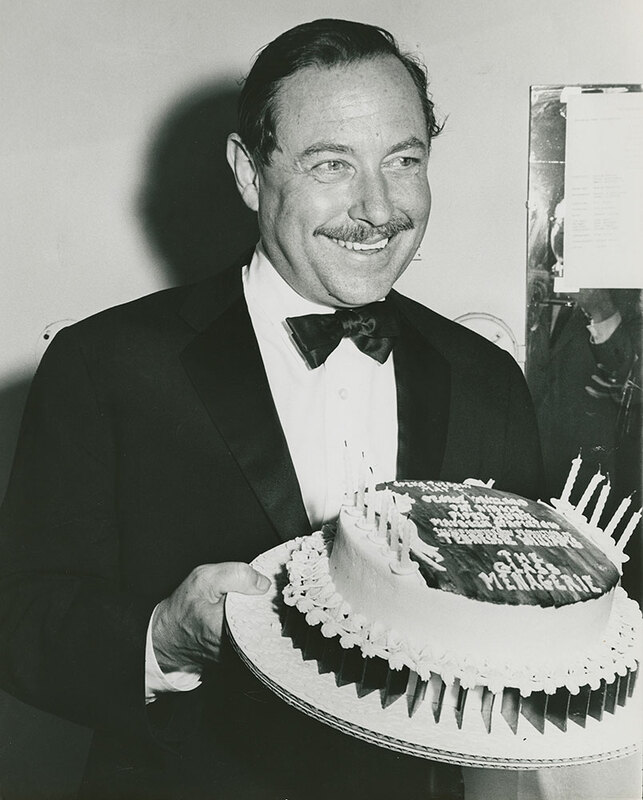 Photographer unknown, Tennessee Williams on the Twentieth Anniversary of The Glass Menagerie, New York, 4 May 1965, photographic print, Tennessee Williams Collection, Rare Book & Manuscript Library, Columbia University. 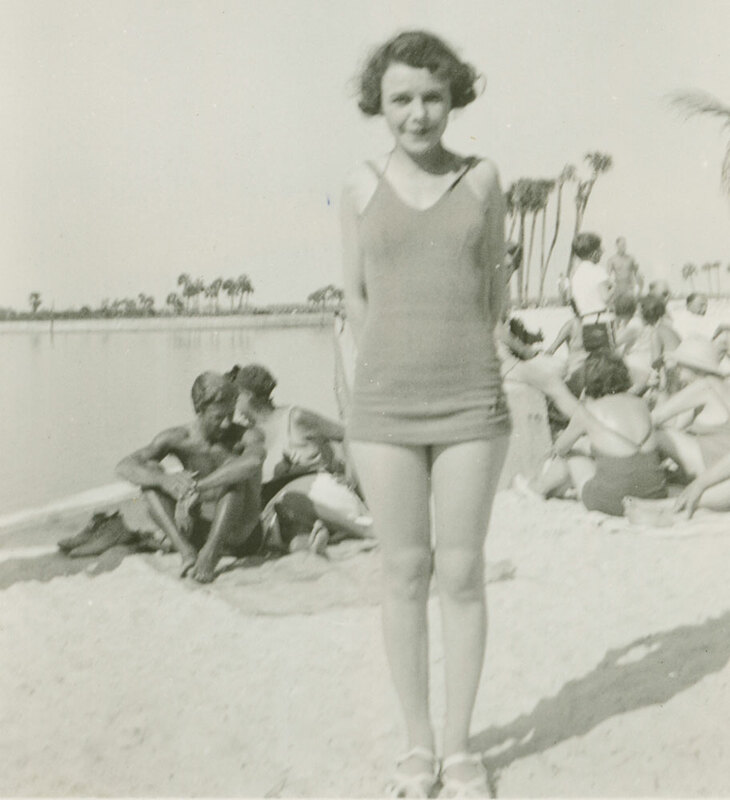 Photographer unknown, Rose Isabel Williams on the beach in Florida, undated, photographic print, Harry Ransom Center, The University of Texas at Austin. 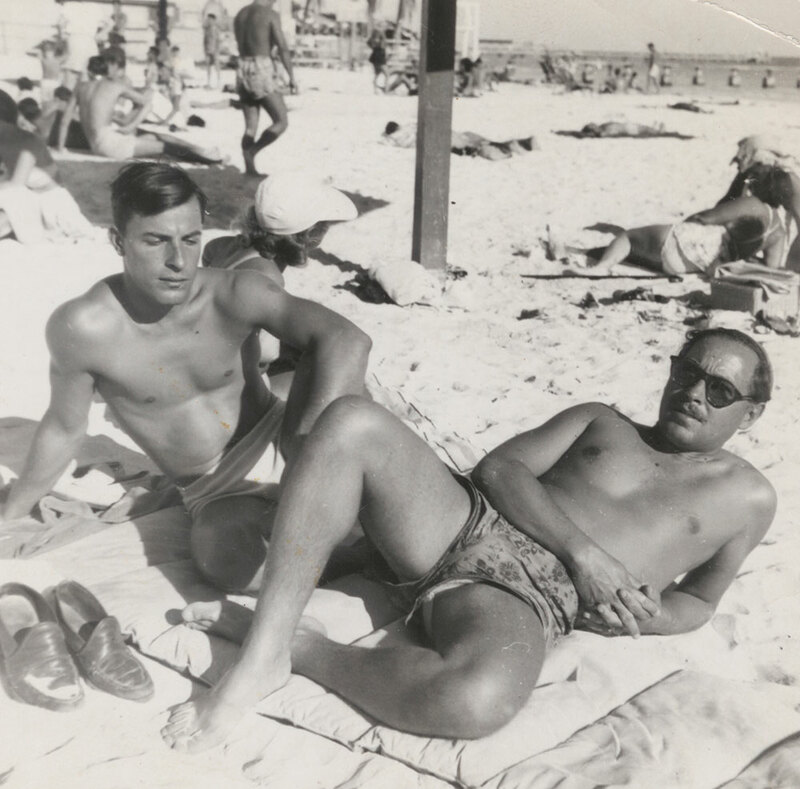 Photographer unknown, Tennessee Williams (right) and Frank Merlo (left) on the beach, undated, photographic print, Tennessee Williams Collection, Rare Book & Manuscript Library, Columbia University Library. Tennessee Williams (1911–1983), Letter to the Williams family, signed “Tom” and dated en route to New York, ca. 4 January 1941, Tennessee Williams Collection, Rare Book & Manuscript Library, Columbia University Library. 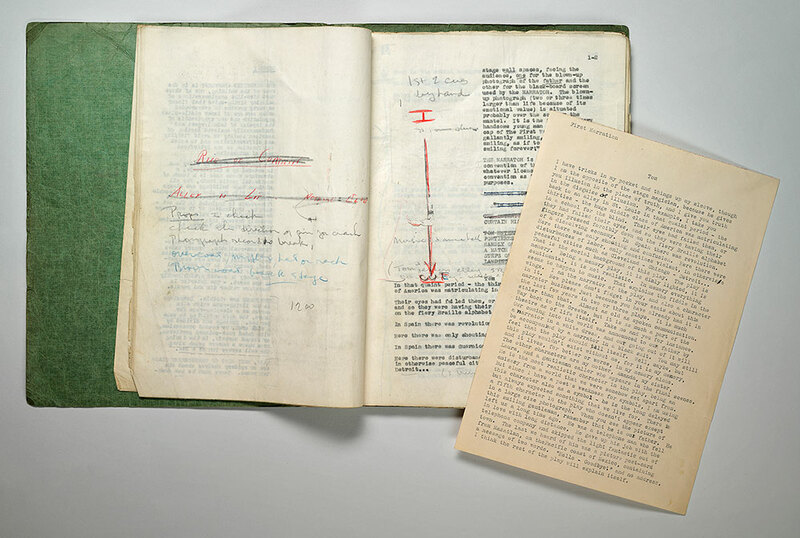 Used with permission of George Borchardt, Inc.
Tennessee Williams (1911–1983), The Glass Menagerie, typed playscript, annotated by Margo Jones and others, with typed insertions, December 1944, The Morgan Library & Museum, The Carter Burden Collection of American Literature, MA 5739. 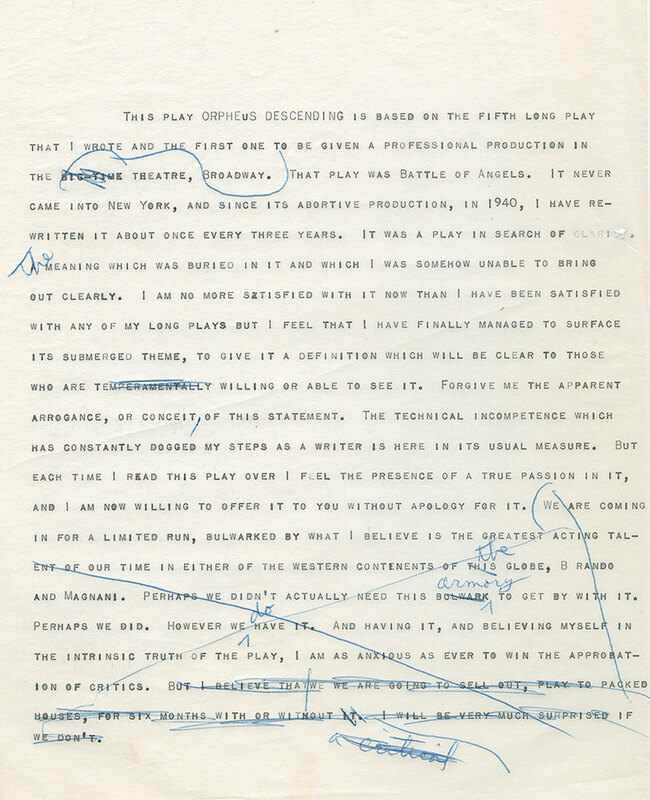 Used with permission of George Borchardt, Inc.
Tennessee Williams (1911–1983), Typescript draft related to the foreword for Orpheus Descending, ca. 1958, Harry Ransom Center, The University of Texas at Austin. 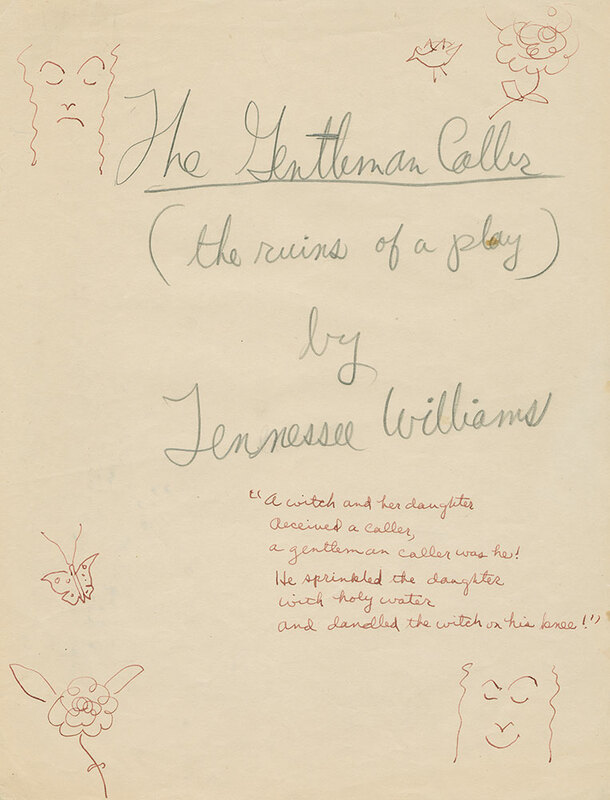 Used with permission of George Borchardt, Inc.
Tennessee Williams (1911–1983), The Gentleman Caller: The Ruins of a Play, ca. 1943-44, Harry Ransom Center, The University of Texas at Austin. Used with permission of George Borchardt, Inc.
Hart Crane (1899–1932), The Collected Poems of Hart Crane (New York: Liveright Publishing Corporation, 1933), Tennessee Williams Collection, Rare Book & Manuscript Library, Columbia University. Photographer unknown, Karl Malden, Marlon Brando, Jessica Tandy and Kim Hunter in rehearsals for A Streetcar Named Desire, October 1947, photographic print, Harry Ransom Center, The University of Texas at Austin. MARLON BRANDO and related rights TM/ ©2016 of Brando Enterprise, LP. 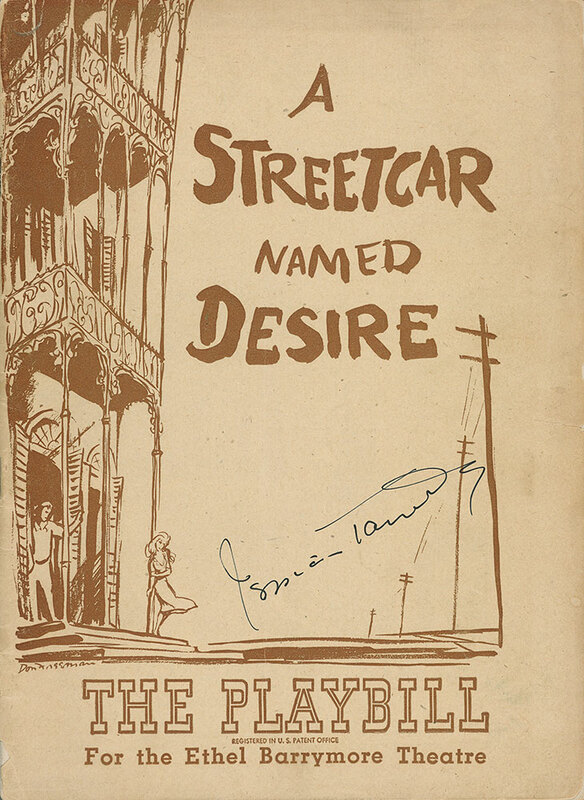 A Streetcar Named Desire, Playbill for the Ethel Barrymore Theatre, New York, 1947-49, signed by Jessica Tandy, Houghton Library, Harvard University, purchased with the Frank E. Chase Fund, bMS Thr 550 (41). 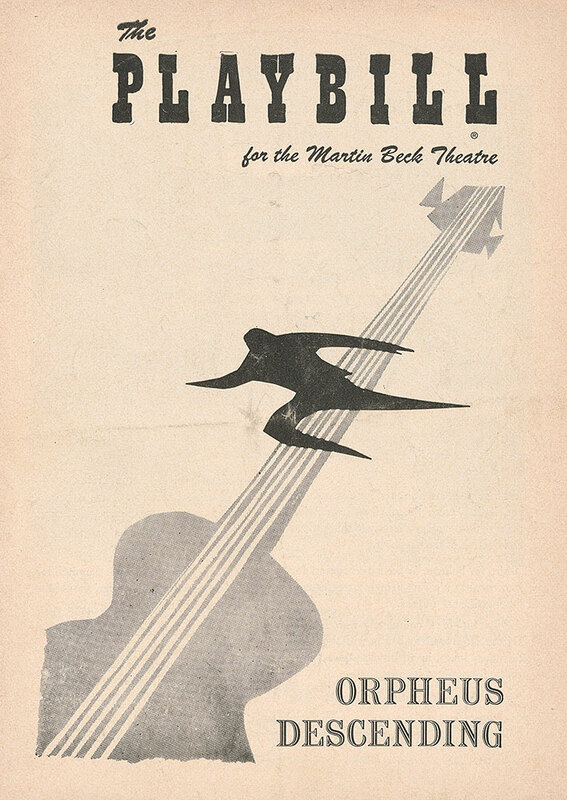 Orpheus Descending, Playbill for the Martin Beck Theatre, New York, opening night, 21 March 1957, The Morgan Library & Museum, The Carter Burden Collection of American Literature, PML 179753. Photography by Janny Chiu, 2017. 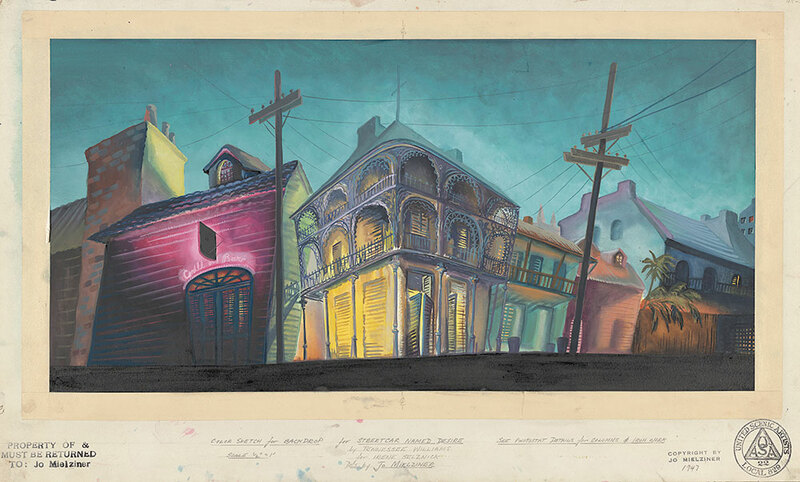 Jo Mielziner (1901–1976), Color sketch for backdrop of A Streetcar Named Desire, 1947, ink, graphite, watercolor, gouache, and pressure-sensitive adhesive tape, Billy Rose Theatre Division, New York Public Library, Astor, Lenox, and Tilden Foundations, Bequest of Jo Mielziner, 1976. 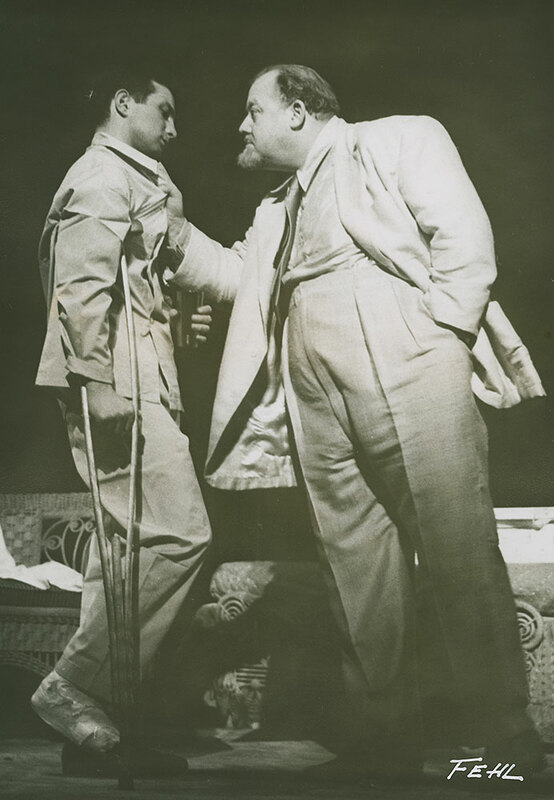 Fred Fehl (1906–1995), Production photograph of Ben Gazzara as Brick and Burl Ives as Big Daddy in Cat on a Hot Tin Roof, 1954-55, silver gelatin print, Harry Ransom Center, The University of Texas at Austin. Photograph by Fred Fehl ©Gabriel Pinski. 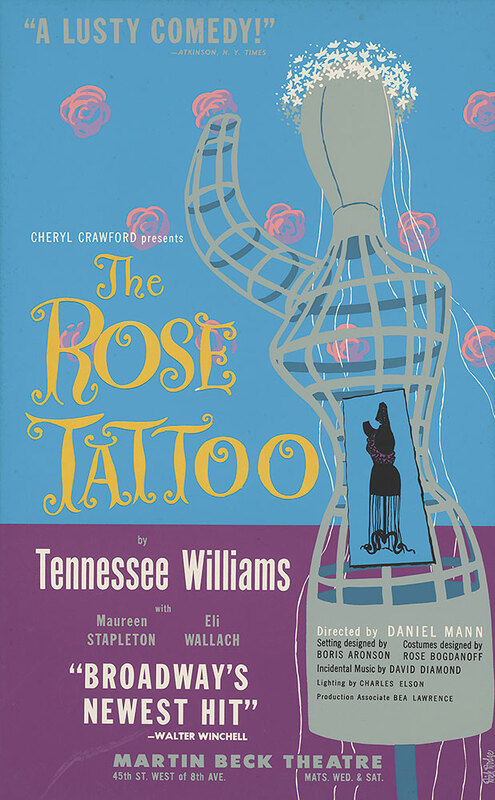 The Rose Tattoo, window card for the Martin Beck Theatre, New York, 3 February to 27 October 1951, Tennessee Williams Collection, Rare Book and Manuscript Library, Columbia University Library. The Glass Menagerie by Tennessee Williams. Cover design by Alvin Lustig. © 1949 by Alvin Lustig. Reprinted by permission of New Directions Publishing Corp. A Streetcar Named Desire by Tennessee Williams. Cover design by Alvin Lustig. © 1947 by Alvin Lustig. Reprinted by permission of New Directions Publishing Corp. Cat on a Hot Tin Roof by Tennessee Williams. Cover design by Alvin Lustig. © 1955 by Alvin Lustig. Reprinted by permission of New Directions Publishing Corp. The Rose Tatoo by Tennessee Williams. Cover design by Alvin Lustig. © 1951 by Alvin Lustig. Reprinted by permission of New Directions Publishing Corp. The Morgan Library & Museum, The Carter Burden Collection of American Literature and New Direction Books, New York.